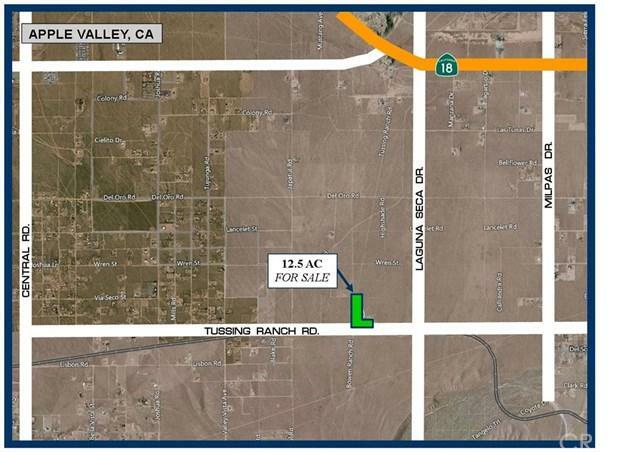 This is 12.5 acres of raw land on Tussing Ranch Road zoned Rural Living with a 2.5 acre minimum... Power at the street, great road access, beautiful views, with custom homes in the neighborhood. OWNER WILL CARRY! Offering terms of $18,500 down with a fully amortized loan of $56,500 payable at $539.94 per month with no prepayment penalty. Come out and start your very own project overlooking the valley.